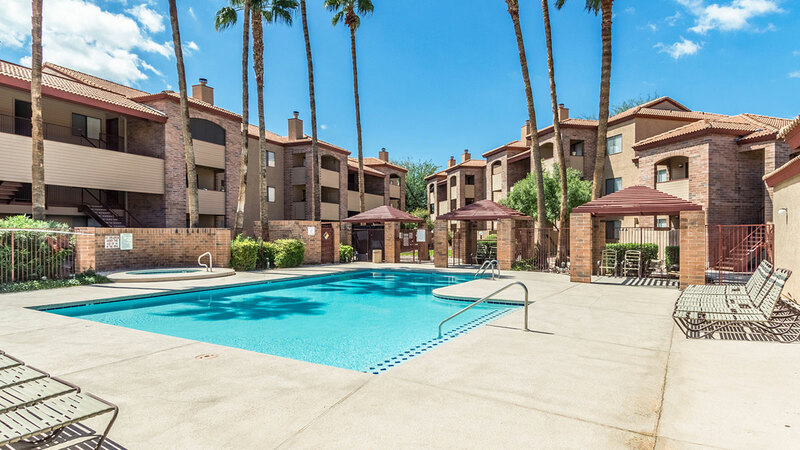 Tucson, Ariz. – March 26, 2019: ABI Multifamily — the Western US’ leading multifamily brokerage and advisory services firm — has announced the $21,800,000 / $87,903 Per Unit / $106.38 Per SF sale of Mission Antigua Apartments in Tucson, Ariz.
Mission Antigua is a 248-unit garden-style apartment community located near South Mission and West Irvington roads. Built in 1989, Mission Antigua offers a desirable mix of one-, two- and three-bedroom configurations with impressive brick architecture, a plethora of amenities and convenient access to several area parks, recreation facilities and major transportation corridors. Element Property Company is a California-based multifamily operator with assets throughout the western US. “We look forward to implementing our interior renovation program throughout another quality asset in our growing Arizona portfolio,” said Will Roos, Element’s founder. The Arizona-based Seller was the original developer of the property, which was managed by Centurion Management Company. The Buyer and Seller were both represented by the multifamily brokerage team of Alon Shnitzer, Ryan Kippes, John Kobierowski, Rue Bax, Eddie Chang and Doug Lazovick.